What’s for lunch this Thursday? 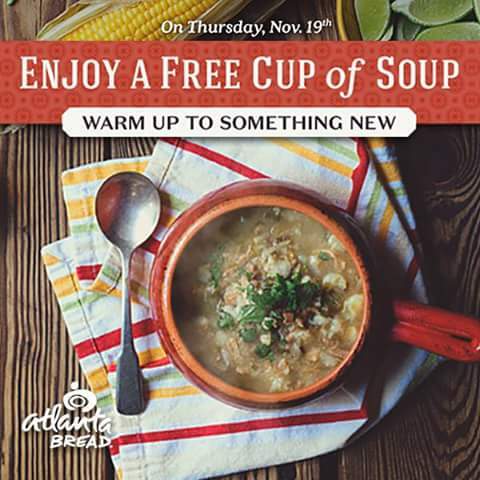 How about a FREE cup of soup on Atlanta Bread. Stop by for your free cup 11/19. Visit www.atlantabread.com for more information. I appreciate you making the effort and energy to set this post together. But so what on earth, it had been still worthwhile!